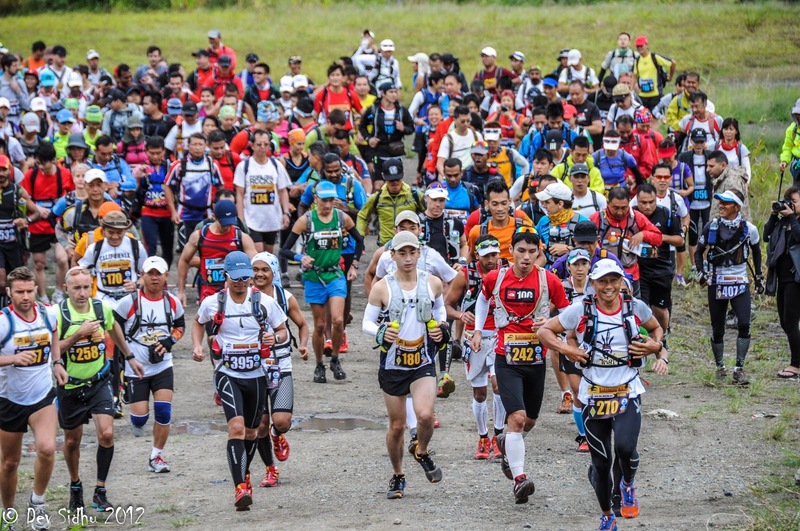 I finally made it to the second edition of The Most Beautiful Thing, an ultramarathon amongst the foothills of Kota Kinabalu in Sabah, West Malaysia. There were 25km, 50km and 100km categories, all of which filled up soon after entries opened. Leading up to the race, updates from the race organisers were peppered with weather warnings and equipment cautions, and I’m pretty sure most of us arrived expecting the worst. Transfers from KK to the race start were meticulously planned, kudos to the organisers for taking that on and dealing with nearly 400 competitors arriving from different countries on different dates and times. It was good to see all the usual suspects again, mainly friends and acquaintances from the last couple of years racing the SAC Ultra Run (organised by the same race directors). I knew there were more than a few strong contenders for the men’s 100km race, including last year’s winner Jiri Vystein. Aman’s race briefing was very thorough as usual, whilst I was hoping the weather would hold and I wouldn’t to have to use too many items from the mandatory equipment list! Judging from the route changes from last year, and the increased elevation gain (4500m D+), this was going to be something of a challenge! I’d just taken on a new job at the beginning of the week, and my plans to get some decent rest went right out the window with my hydration strategies! 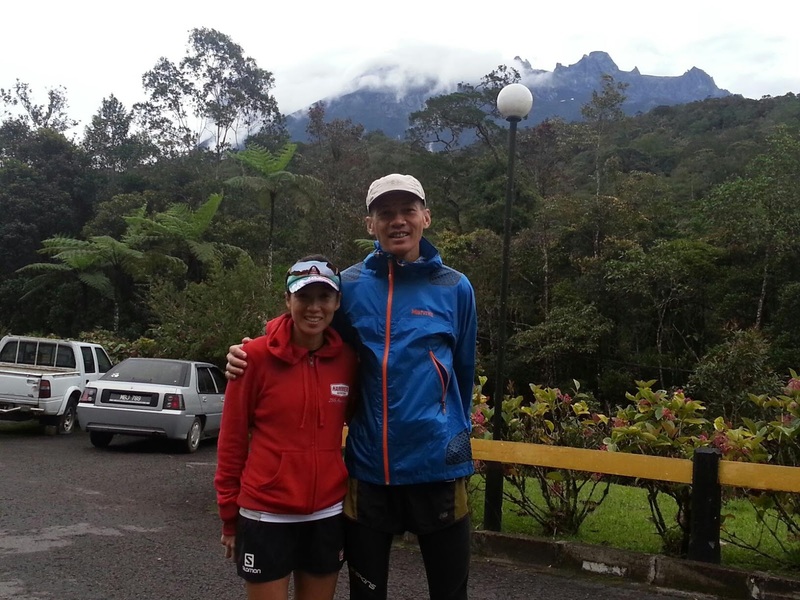 I’m sharing a room at the Kinabalu Park Headquarters Hill Lodge with Ford (fellow Hammer-Salomon athlete), and Anders (aka Desert King, winner of RTP Sahara 2010 and Atacama 2011). From his Facebook updates, Ford has been training like a demon, and Desert King is making a comeback after nearly a year off with injury. 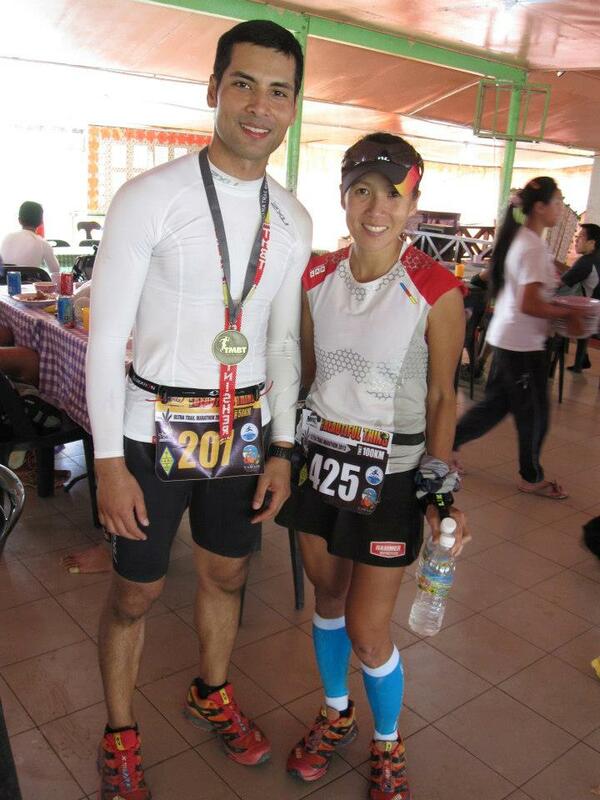 George, a former schoolmate and triathlete, now turned ultrarunner. It’s pretty nippy up up where we are, and a heavy downpour that starts just before the race briefing doesn’t help matters. Everyone seems in good spirits, though, and despite the cold and wet, I’m looking forward to the race. Come race morning, the rain’s stopped and the skies are looking promisingly clear. 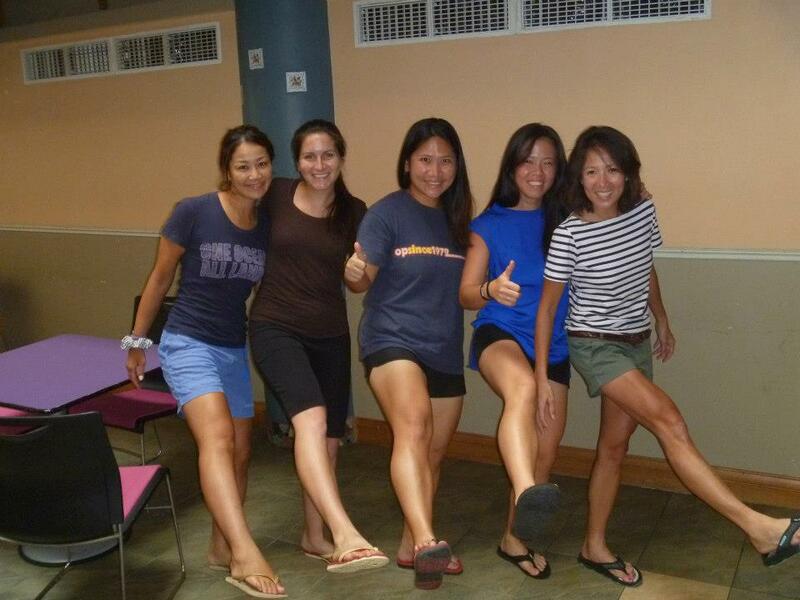 The first hitch in our race plans is when our transport doesn’t arrive to pick us up. That’s the last time I’m trusting the lady at Reception! Next time I’ll remember to take down some numbers as backup. 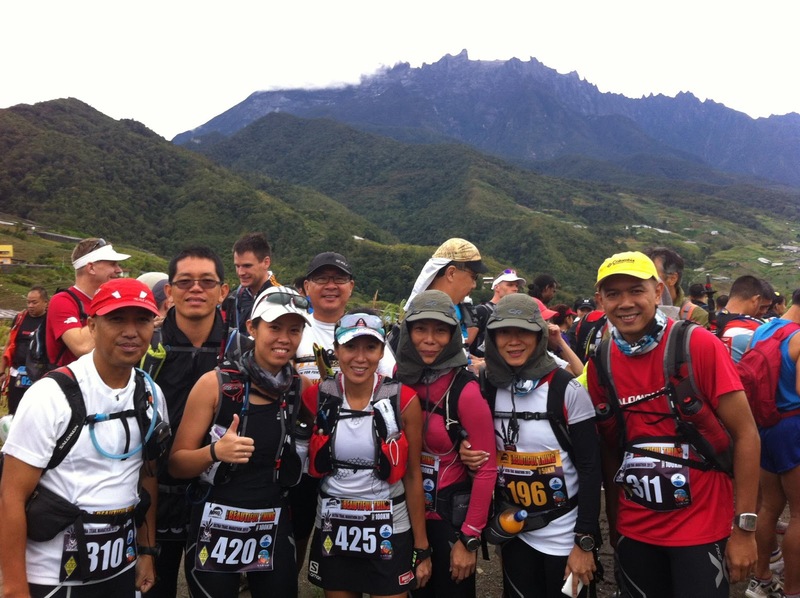 10 of us (all staying at Hill lodge) end up trudging down the hill laden with all our luggage to Reception, where we manage to snag a mini-bus headed to the race start by the Kundasang War Memorial. We’re all there in plenty of time, and get stuck in dropping off our luggage and drop bags. There’s a small ripple of stress when some runner realise they haven’t got proper tags for their respective bags, but I have a roll of red duct tape and a marker pen ready so pre-race nerves are assuaged a little. All the categories are starting at the same time, so we’re all gathered, chatting and waiting for the start gun. The weather feels great, cool with a gentle breeze .. if this holds up it’ll be ideal conditions for a comfortable run! Steve and I just cresting one of many hills! 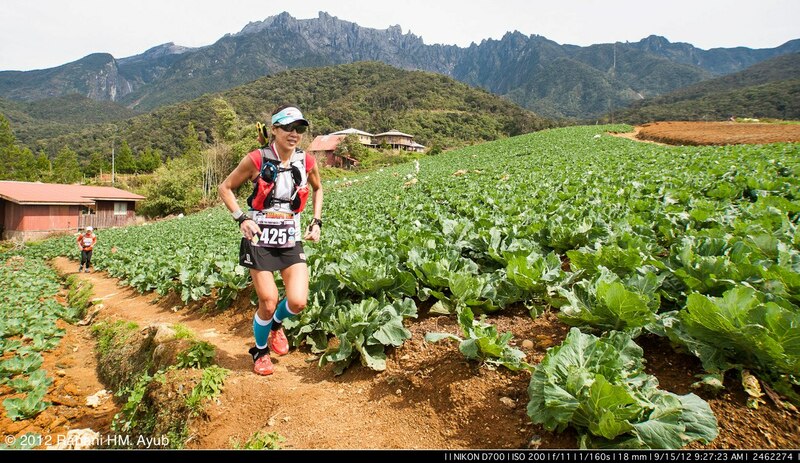 Running in the cabbage patch. So far I’d been feeling fine apart from a headache at the start that wouldn’t go away. I put that down to altitude and not being properly hydrated before the race. 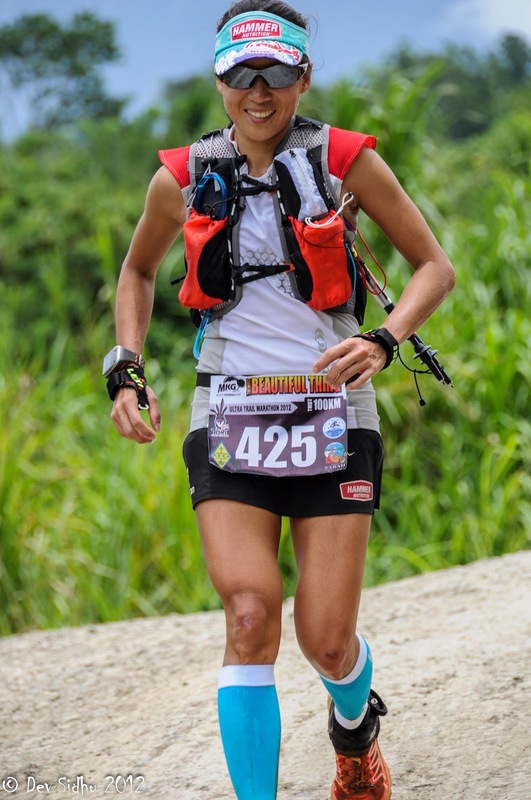 My nutrition (Perpetuem at regular intervals), hydration and supplementation (Endurolytes every 30 mins) was going according to plan, but at around the 30km mark I had a growing sensation of nausea that I just couldn’t shake. At WS4, I had to sit down to re-group .. it shouldn’t be going wrong this early on! Jonas came past looking chirpy, with an update that he’d helped Dave up to his feet. I finally got back on the road after about 10 minutes, not feeling any better, but I figured I’d DNF at 50km if I was feeling the same. 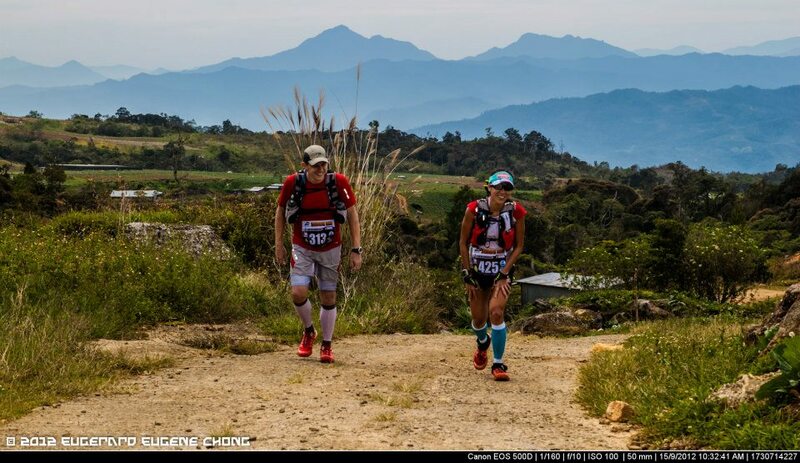 It really felt like a long, hot, uphill struggle to the 50km checkpoint. It’s also the finish point for the 25km and 50km events, and I was glad to get there. Ford and some other familiar faces were there, all in various states of physical and mental agony. I tried not to think about quitting there, but the nausea was really quite overwhelming by now, and my headache just got worse. I moved slowly, refuelling my pack more for something to do than to think about going out again. Vincent, Sebastien and Dave all came in after. I saw Kate, the eventual women’s winner, come in, refuel and head out .. exactly what I should have done, but my will was gone. Had some soup with rice, together with coke in the hopes that I would throw up … no luck there. At least the food stayed down, and after some consideration, I got going again. I’d lingered there over 45 minutes. I figured I’d take it one checkpoint at a time .. finishing didn’t seem like a possibility right then. 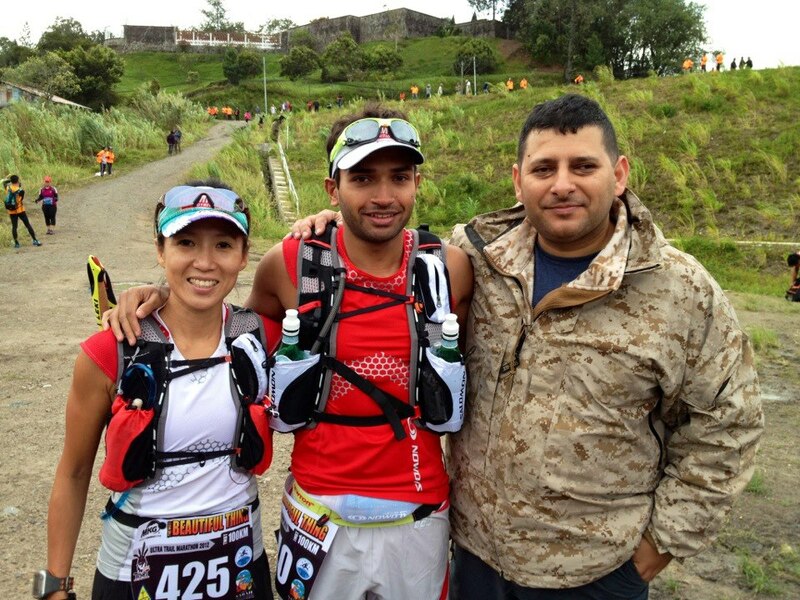 Shahran at his 50km finish, Well done, mate! The rest of the way was hard. It’s all a bit of a blur, but I remember meeting Andrew who very kindly accompanied me in the dark. There was a thunderstorm along the way, headache and nausea not abating, and lots and lots of hills. I didn’t even want to look at the laminated course profile I’d brought because it felt so daunting. Just one step at a time, keep moving forward. It was great seeing some of the other runners looking strong. 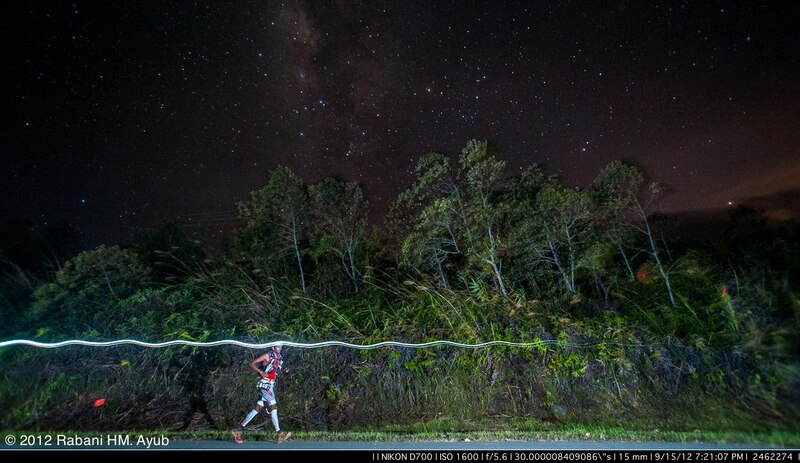 Jacky ran past with seemingly boundless energy, and somewhere along the way, Dave, Vincent and a few others were running alongside. Andrew Loh, such a lovely and humble chap .. and my night-time bodyguard. I was alone when I finally reached CP12 .. and then couldn’t find it! The poor tired marshalls were asleep in the truck with the lights off and I’d have missed the CP if I hadn’t seen the boxes of mineral water stacked on the side. Claus turned up a minute later, he’d been checking the signage leading to CP12 as it seemed a few runners had missed the turn. Dave and another runner caught up and we made our was from CP12 to the finish together. I was grateful for the company and the borrowed energy .. not to mention the illumination from Dave’s Black Diamond Storm. My Princeton Tec Apex Pro, despite having 130 lumens, was on it’s last battery legs, making my eyes even more tired and it was hard to spot the markers. We finally made it to the finish, greeted by a very supportive timekeeper. 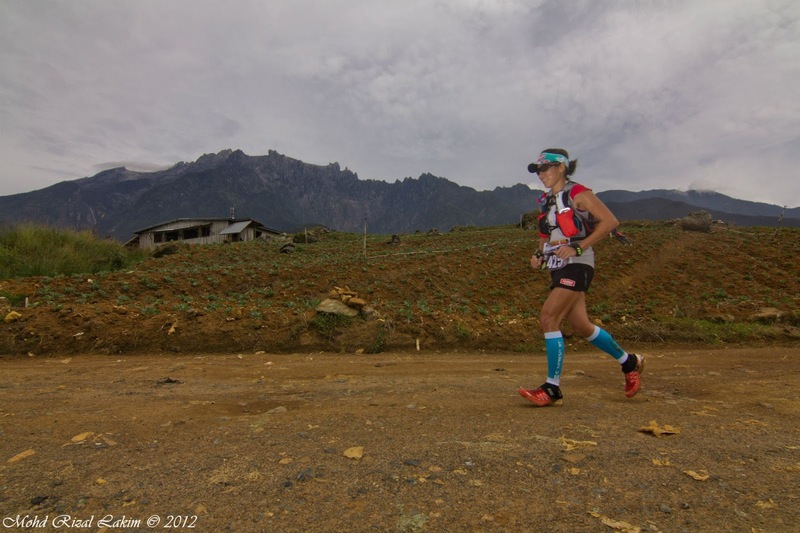 A finishing time of 18h 49min, 2nd woman and a bloody hard event! Aman and Claus were there too. More runners finished, including Vincent, Jonas, Sebastien and Andrew. While we waited for transport to the hotel, we tried to stay warm and refuel. I was so tired and aching all over, I couldn’t think straight and all I remember is that I wanted a hot shower desperately and then a nice clean bed. I’d have liked to have stayed at the finish to watch the others who were still struggling come in, but I was all done in. My nausea continued on till the next day, although the headache thankfully subsided by mid morning. Kudos to everyone who started, regardless of a finish. The conditions were tough, and well beyond what I’d expected. Glad all my Hammer Nutrition stayed down despite the nausea, and even more glad that I changed from the Sense to the S-Lab 4 at 50km! The organisers, volunteers, photographers, drivers, marshalls and admin staff did a commendable job given the weather and the long hours, all to make sure a bunch of ultra-crazed runners were safe and happy doing their thing! Check out the pics of the race on the TMBT FB page as well as links to race reports from the runners’ blogs. Thank you for this review! 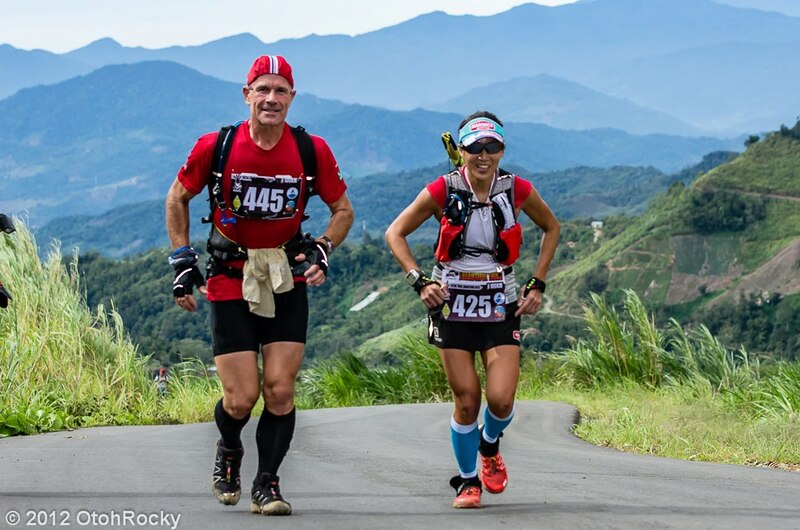 I'm planning on doing TMBT next year (50km), and am wondering whether or not I'm crazy enough to do the 75km 3-day ultra in March (the 60k version you also ran, right?). I've done some marathons in the past but it's been a few years. Looking for some fresh challenges.